Call 1-800-978-2022 for more info - Edinburg Home Warranty. Does your monthly budget allow for expensive home repairs? If not, a home warranty plan is right for you. Perhaps you have an elderly parent on a fixed income, or are a landlord with a rental property? Our plans are a perfect solution when extra help is needed for home repairs. Whether you are a young family just starting out, or simply want to have peace of mind when it comes to your appliances, there is a CP™ home warranty plan right for all households. For starters, none of our plans have a deductible or service call charge! We also offer diverse monthly and annual plans for home buyers as well as homeowners. CP™ protects every part inside the appliance, so you never have to wonder which parts will be covered. We encourage you to check out our unrivaled reputation through the BBB, where we have an A+ rating. When selecting your home warranty plan, choose a company you can trust to deliver what is promised! Call 1-800-978-2022 for more info - Edinburg Home Warranty. The Complete Appliance Protection Edinburg home warranty protects you from the high cost of unexpected failures to the major systems and appliances in your home by repairing or replacing covered items that break down due to normal wear and tear. Buying or selling your home can be stressful, especially if one of your home's systems or appliances breaks down unexpectedly. The Edinburg home warranty fills in valuable coverage where your homeowners insurance doesn't apply. To secure the best protection for your home and your budget, you need both homeowners insurance and a home warranty. A home warranty covers costly home repairs and replacements due to normal everyday use. It's not your homeowner's insurance policy; a home warranty is a separate contract covering repairs and replacements on systems in your home. Home warranties cover many, but not all, of your home's appliances and systems. Contract costs and coverage can vary widely, so always compare before purchasing. A Edinburg home warranty is often a feature in the sale of a home. In that scenario, the seller typically pays a few hundred dollars for a one-year warranty covering the home's major fixtures such as the furnace, water heater and kitchen appliances. This gives the buyer some protection during that first year of ownership knowing that if something major breaks down it will be covered. Many homeowners choose to continue paying an annual premium rather than risk bearing the full replacement cost of a major item. When you purchase a home in Edinburg, even a home that isn't new, there is a very good chance that you will be offered a home warranty. The seller may offer to purchase one on your behalf to provide peace of mind that any component of the home that fails can be fixed affordably. Homeowners that are trying to sell their homes may want to consider the benefits of offering a home warranty on their home. The seller can choose to pay for the home warranty coverage on his or her own or ask that the buyer pay for a specified portion of the cost. By including a home warranty option on their home, Edinburg homeowners can get the maximum selling price for their home, be relieved of further obligations should repairs or replacements become necessary after the final purchase is completed, and interest buyers in a tough market. Costs for Edinburg home warranty plans are paid upfront before the coverage goes into effect. Complete Protection offer their clients the ability to make payments on their home warranty plans. Edinburg is a city in and the county seat of Hidalgo County, Texas, United States. The population was 81,029 according to the 2012 census estimate. Edinburg is part of the McAllen–Edinburg–Mission and Reynosa–McAllen metropolitan areas. In 1908, John Closner, William Briggs, Argyle McAllen, Plutarco de la Viña and Dennis B. Chapin developed a new community (the town square of which is now located at the crossroads of U.S. Highway 281 and State Highway 107). The town was named Chapin in honor of one of the developers. 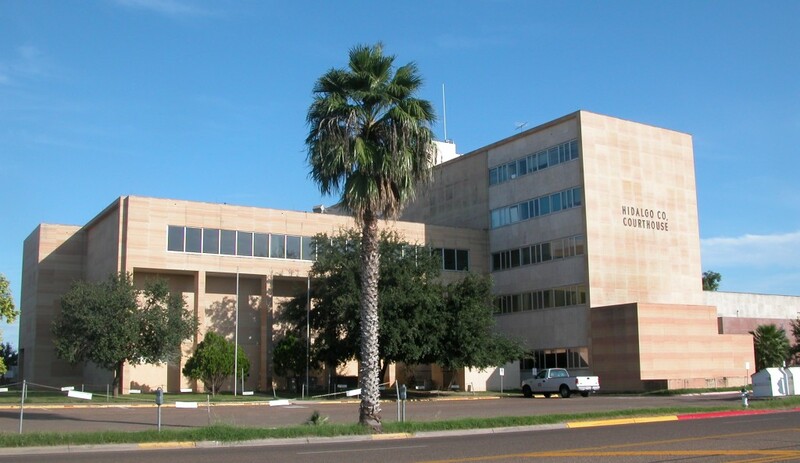 The original Hidalgo County Courthouse in the City of Hidalgo was under frequent danger of flooding because of the town's proximity to the Rio Grande, which sometimes encroached on the building. Additionally, Texas law required that the courthouse be close to the geographic center of the county. When Dennis Chapin was involved in the shooting death of Oscar J. Rountree at the Dan Breen Saloon in San Antonio, Texas, the community changed its name to Edinburg to honor John Young, a prominent businessman who was born in Edinburgh, Scotland. The town was officially named in 1911 and incorporated in 1919. Texas is a state in the United States of America. It is the second most populous and second largest state by area of the 50 United States. Geographically located in the south central part of the country, Texas shares borders with the U.S. states of Louisiana to the east, Arkansas to the northeast, Oklahoma to the north, New Mexico to the west, and an international border with the Mexican states of Chihuahua, Coahuila, Nuevo León and Tamaulipas to the southwest, along with the Gulf of Mexico to the southeast. Complete Protection™ (CP™) is unlike any other home warranty on the market. Since 1998, we have become the industry leader in Customer Service. Anytime you call, day or night, we will always have live staff answering the phone with no menus to navigate! Get the personal attention you deserve from your home warranty company. Call 1-800-978-2022 for more info - Edinburg Home Warranty.